Details Announced for Royal Tour Canada - What Would Kate Do? 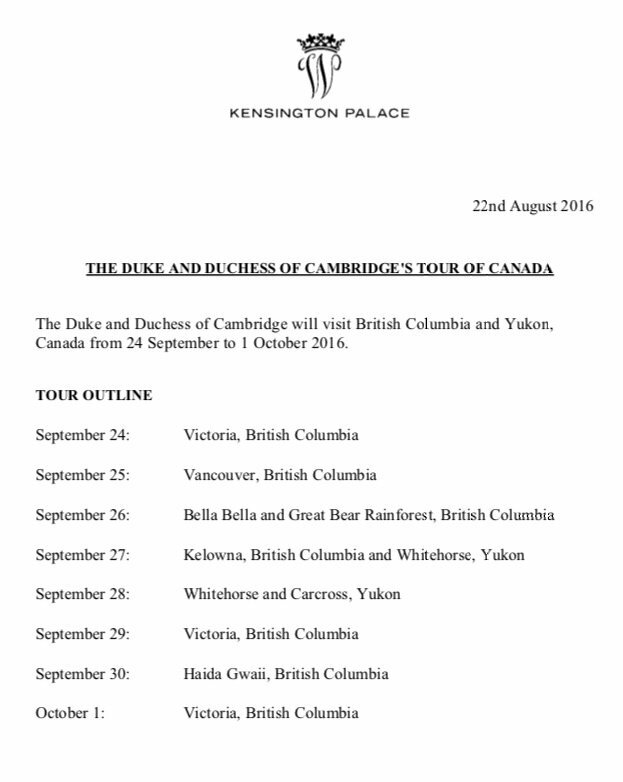 The long awaited details of the second Royal Tour of Canada by William and Kate have finally been announced! Starting September 24th, 2016 the couple will be in British Columbia and the Yukon. We are SO excited about this tour, namely because one of our Editors (me!) lives in beautiful Vancouver and will be able to live report the Tour. 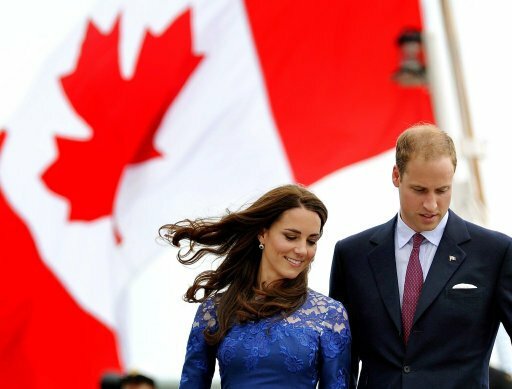 As always, we have created a central Royal Tour Canada page so you can get all your news in one spot. Be sure to bookmark it as it will be updated often. Now, to the question of George and Charlotte. It is expected that the couple will make the final decision (or announcement) about the children closer to the date. 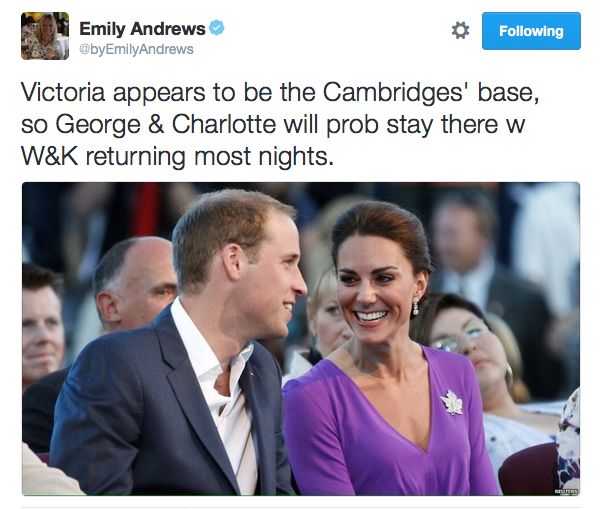 Emily Andrews reports that the children will likely stay in Victoria with the couple returning most nights. We will be publishing three guides over the next few weeks – what would Kate do in Vancouver, Victoria and Kelowna – so stay tuned for more!